It is the best Android & iOS device "erase" application which is designed to completely erase all personal data from the devices without restored. Permanently Wipe All Data on iOS and Android Devices. Remove Your Deleted or Private Content from iPhone/iPad. 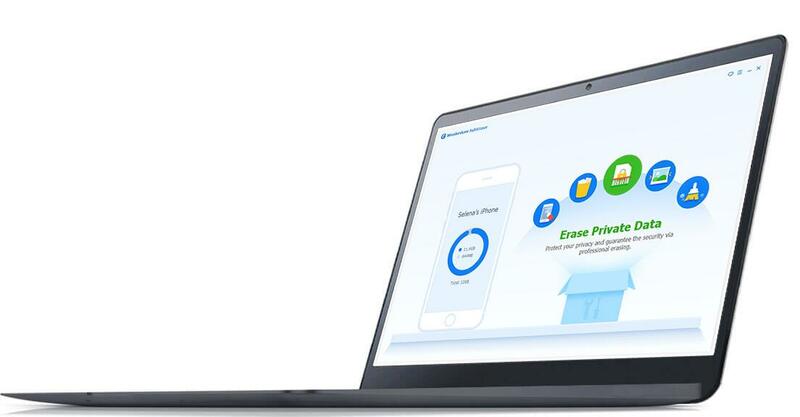 Mobile Eraser is designed to protect your private information and manage your phone data, it is an all-in-one yet easy-to-use phone eraser tool to optimize iDevices, and wipe all data on your iPhone iPad and Android devices data when selling, recycling or donating, etc. Smartphone and tablet as the communication tool and microcomputer, plays an important role in our daily life. No matter what phone you are using, iPhone, iPad or any other Android device, because they are everywhere, so there are too many personal data storing on your phone, such as text messages, contacts, photos, vidoes, notes, calendars, social networking, payment, password and lots of documents. So when you want to replace your old phone with the new one, and plan to resell or dispose the old phone(s), the first thing that you need to consider seriously is how to prevent your personal information and privacy being leaked. 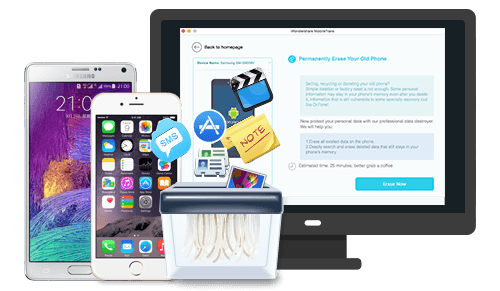 Mobile Eraser for iOS & Android enables you one click to permanently erase all data on your old phone(s) by using US Military spec over-writing technology to render the data without restored. Erase all data on iPhone, iPad or iPod touch. Erase all content from your Android smartphones and tablets. As the science and technology development now, the mobile phone is already a necessity of life. However, at the same time when the mobile phone is widely used, but the problem of phone privacy being leaked is getting worse. For this phenomenon, how the phone to divulge ours personal privacy, and how do we deal with this program? Please calm down, Mobile Eraser is a 100% reliable and professional phone data wiping tool, which enables you to drastically erase your private data from your iPhone, iPad or iPod touch by using the US Military method of destroying data, all the erased private data will be rendered unrecoverable, releasing more space, and to the hilt to ensuring your personal information safe. Personal private phone data included text messages, account password information, storage file information, iMessage, contacts, call history, photos, videos, audios, notes, bookmarks, search history, cache, browsing history, browsing cookies and so on. 1. The application of iOS itself is not perfect. 2. Software poor regulation, using the risky software, or get software through informal channels. 3. Failed to properly dispose of the old iPhone, iPad or iPod touch. 4. Intercepted information by listening to the positioning device. 5. Virus attacks, hacker intrusion, broken iDevices, stolen. The survey found that, even after manually deleting the information stored in your phone, even if you restore your iPhone iPad to factory settings, but the deleted data still remains on the device, they can still easily recovered by using some recovery softwares. Experts have warned that the old phone must be handled carefully to avoid loss of privacy, threatening the personal and property safety. 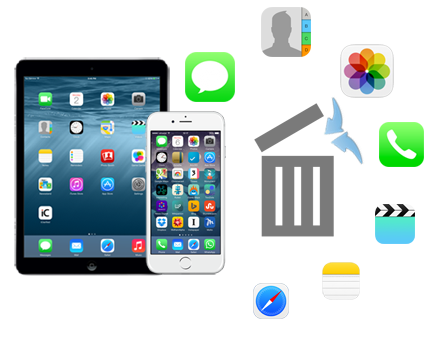 To permanently remove the deleted content including Messages, iMessage, Contacts, Call History, Facetime, Calendar, Reminders, Notes, Safari Bookmarks, Photos, Videos, Safari Bookmarks and more from your iPhone, iPad and iPod touch without any possibility of recovery, Mobile Eraser is your solid choice. Mobile Eraser can help you save your iPhone/iPad space in two ways, to release the storage on your iDevice. Lossless compress the photos/pictures/images. This option will compress the gallery on your iPhone, iPad, as well as iPod touch, and after compressing, the photos will stay on your device. Export photos from iOS device to your PC. 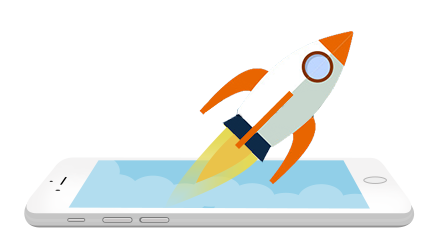 This option will export and transfer the photos from iPhone/iPad to your computer or Mac, so as to free up more storage space on your device. 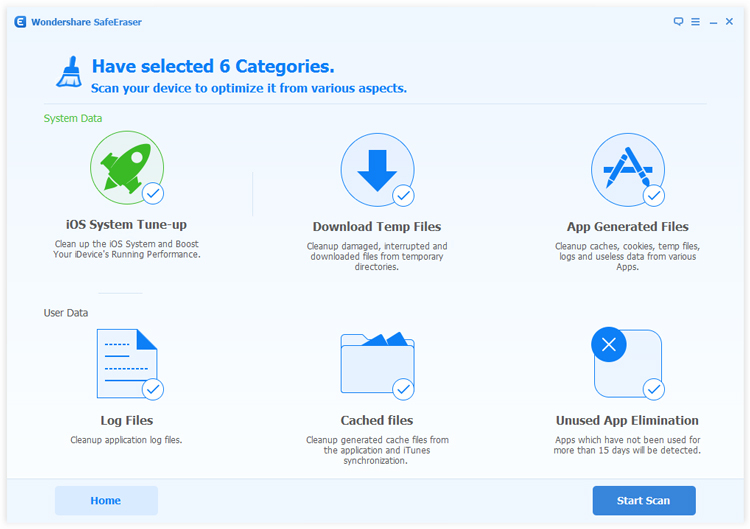 After a long time to use your iPhone/iPad, there will be a lot of junk, temp, log, cookies, cached files and more generated on your device(s). All these kind of files will somehow take up your storage space or affect the system efficiency, and even bring harm to your iPhone/iPad. That's the reason why we need to termly optimize the iOS system, free up more space on your iDevices. Fully compatible with the latest Windows 10, Android 6.0 Marshmallow, iOS 8.4/iOS 9/iOS 9.2/iOS 9.3, iPad Pro, iPhone SE,iPhone 6s and iPhone 6s Plus, Samsung Galaxy S7(Edge). How to Unlock iPad Mini without Password? How to Recover Deleted Videos from iPhone X?